We’re big fans of 15-inch laptops. They’re large enough to give you the screen real estate needed to play games without squinting, but not so large (looking at you, 17-inchers) that they require a special gaming laptop backpack to lug around all day. They’re the form factor that lets a portable gaming machine feel portable. 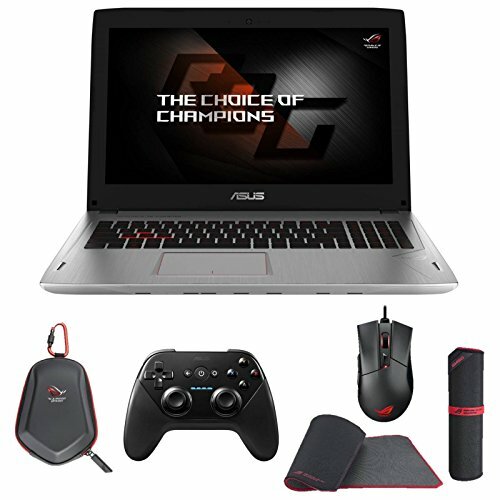 Asus’s ROG Strix GL502VS delivers on portability. Measuring only 1.18 inches (30mm) thick, it’s one of the thinner GTX 1070 laptops we’ve tested, fitting into a new breed of portable pixel-pushers that don’t require massive jet engines to cope with the heat output of mobile graphics chips. Inside, the GL502VS features an Intel Core i7-7700HQ CPU, 16GB DDR4 RAM, and a GTX 1070 GPU. Where it sets itself apart, aside from the form factor, is in its display. 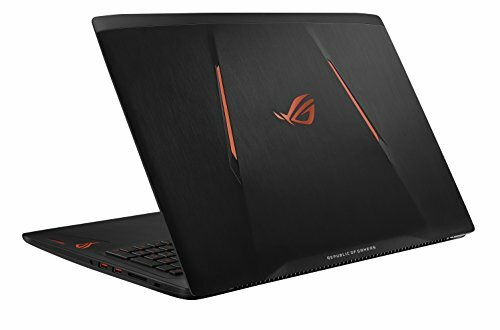 Where most gaming laptops offer a 1080p G-Sync IPS screen, they are mostly held back by panels with a 60Hz refresh rate. The GL502VS steps things up with a 1080p “IPS-like” mat te panel with a 120Hz refresh rate. Frankly, much of the GTX 1070’s pixel pushing power is wasted on a 60Hz screen, as it’s more than capable of maintaining frame rates well above 80–100fps at 1080p. With the GL502VS’s 120Hz G-Sync screen, you aren’t forced to choose between screen tearing and higher than 60fps. Speaking of frame rates, the GL502VS easily handled everything we threw at it. It scored an average of 103fps across Rise of the Tomb Raider’s three-part benchmark, scoring 128fps in the Mountain Pass, 95fps in Syria, and 86fps the Geothermal Valley, all at 1080p max settings. In Far Cry Primal, it scored 80fps using the in-game benchmark, and 79fps in The Division’s. Finally, it scored 13,202 in 3DMark Fire Strike. Those numbers destroy our laptop zero-point, and are on par with or better than our desktop. 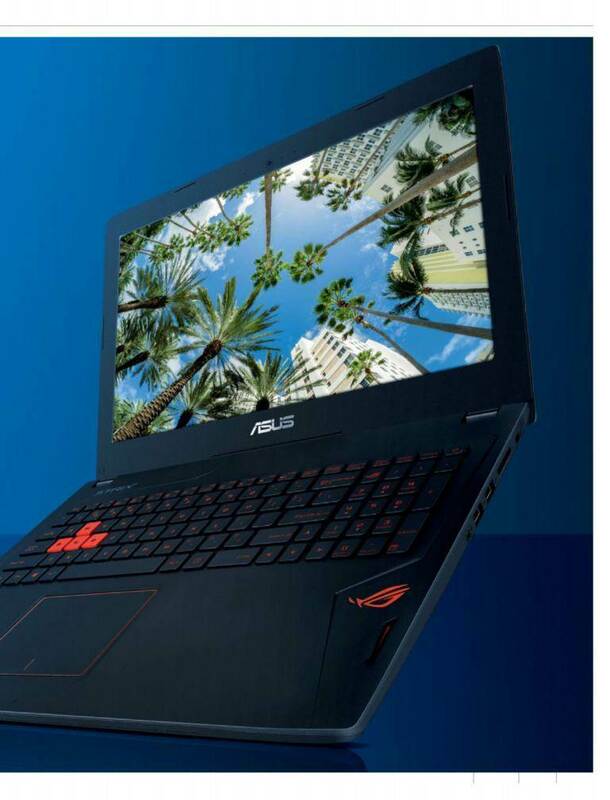 The GL502VS’s chassis is a vast improvement over Asus’s larger, more expensive G752VS, the updated version of the company’s flagship gaming laptop. The GL502VS has a more understated look that maintains a bit of the ROG brand’s angular aesthetic, while toning down some of the more aggressive styling—and in a smaller package. Of course, the G752VS’s size mostly comes from its large rear vents, but in our testing, the GL502VS’s smaller size didn’t limit it thermally in any noticeable way, and it comes in at a much more attractive price point. For connectivity, the GL502VS has all the usual suspects: three USB 3.0, alongside one USB Type-C, as well as one each of HDMI and Mini DisplayPort for connecting to external monitors. Unfortunately, it’s missing Thunderbolt 3 connectivity in the Type-C port, limiting transfers to 10Gb/s instead of Thunderbolt 3’s blazing 40Gb/s. The other main drawback is battery life: With only a 62WHr battery, the power draw of the GTX 1070 means your time from the wall is limited to an hour or two, even when not gaming. That said, the low battery life is more than made up for when considering the GL502VS’s price. It’s hundreds of dollars cheaper than most GTX 1070 laptops. And while it’s not the most portable—especially compared to the ultra-thin Razer Blade or upcoming Nvidia Max-Q laptops—it’s small enough for a normal backpack,and light enough to not break your back. Of course, if you insist on more screen real estate, the 17-inch GL702VS is effectively the same laptop in a larger frame. 6th­ generation Intel Core i7 quad­ core processor and with a discrete NVIDIA Ge-Force GTXTM 1070 graphics. 15-­inch IPS G­ SYNC panel with wide 160° viewing angles and Windows 10 pre­-installed. 0.94-inches thick and 4.8 pounds for superior portability.